I can't believe it's already the end of the month!! 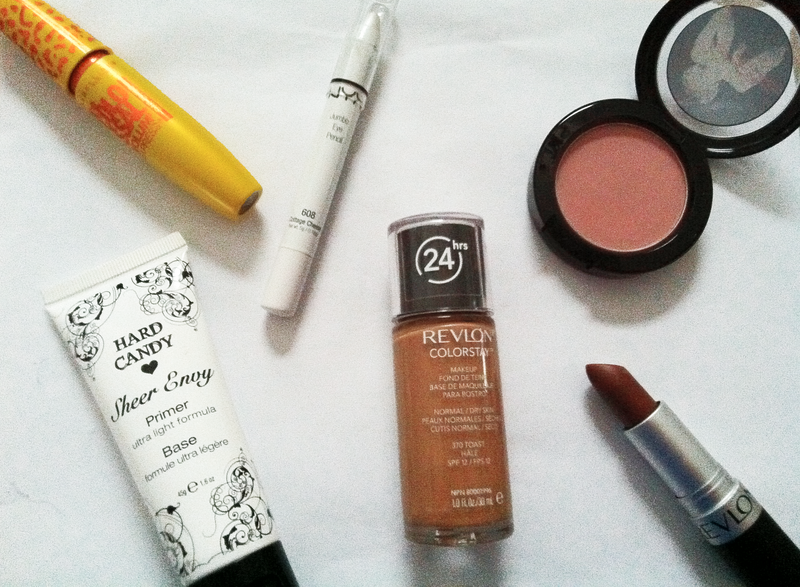 This month I tried out some new products and found some new loves. I kept my eyes neutral and went for bold lips now that it's Fall. I usually wear neutral lips or go for pinky shades but this fall I really enjoyed wearing darker colours of make up and nail polishes. My skin has been quite dry so I put a primer and used a moisturizing foundation. I found that putting the MAC blush on top of foundation made it show up more on my skin. Maybelline Colossal Cat Eyes Mascara - 'Glam Black', Hard Candy Primer, Revlon Colorstay Foundation in 'Toast', Revlon Super Lustrous Matte lipstick in 'Craving Cocoa', MAC Blush in 'The Perfect Cheek', NYX Jumbo Pencil in 'Cottage Cheese'.